Have you ever wanted to send someone with diabetes a gift basket only to feel stumped? 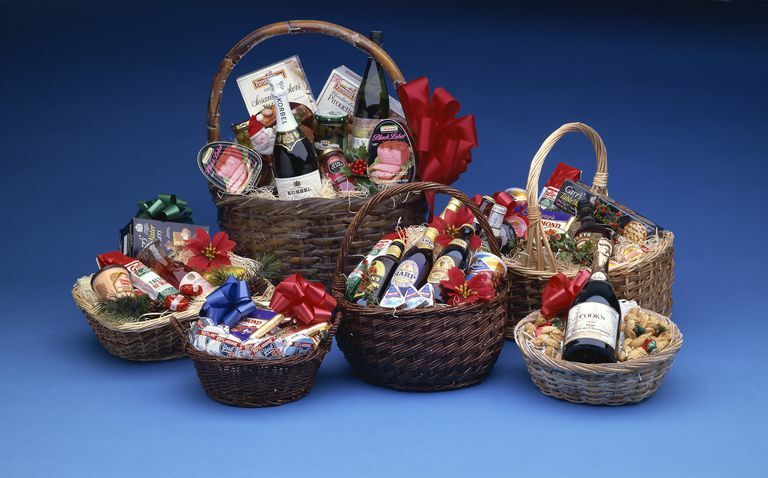 Traditional gift baskets are typically chock full of carbohydrate rich foods, such as sweet treats, candies, and cookies—items that aren't always diabetes friendly. And many of the gift baskets on the market that are geared towards people with diabetes are filled with medical items, diabetes-related books or food products that say "diabetes" and "sugar-free." Artificial sweeteners and sugar-free candies can make up for sugar's sweetness, but not all people with diabetes like to use them, which makes creating a basket even more of a challenge. Fortunately, if we think a little outside-the-box, we can come up with some unique food and beverage gift basket ideas that are awesome and diabetes appropriate. Dark-Chocolate Treats. Studies have shown that eating a small amount of cacao found in dark chocolate may have a beneficial effect on blood pressure, insulin resistance, and vascular and platelet function. Choose dark chocolate with a high percentage of cacao. Look for a high percentage (over 75 percent) with no added sugar. Make sure to check the carbohydrate grams per serving. People with diabetes often aim for 15 g of carbohydrate per serving. Popcorn. Popcorn is a whole grain that is rich in fiber and low in carbohydrate for a decent sized portion (about 3 cups popped contains 15 of carbohydrate). Many companies today make single serve to-go baggies or get creative and place a serving into a mug, festive bowl, or decorative bag. Aim to choose air-popped popcorn or popcorn flavored with olive oil or herbs. Avoid kettle corn and other sweet alternatives as these are rich in added sugar. Fruit. People with diabetes can eat fruit. There are, however, certain fruits you may want to avoid, such as grapes and dried fruit. Include a couple of fresh fruits that rank low on the glycemic index scale. Some good choices would be apples, oranges, pears, grapefruit, and berries. Coffee. If the recipient is a coffee connoisseur, they may appreciate a nice blend in their basket. Depending on the time of year, you can pick a seasonal blend or choose something more traditional. Teas. Teas come in so many different flavors today. Unsweetened iced tea or hot tea is a great alternative to sugary sweetened beverages that can raise blood sugars. You can purchase fancy tea that needs to be steeped or simply get an assortment of tea bags. Nuts. Nuts are rich in vitamins, minerals, fiber and are low in carbohydrates. Studies have shown that nut consumption can reduce the risk of heart disease and maybe even lower cholesterol. Nuts, such as pistachios, also take a long time to eat so they tend to serve as a great snack. Nuts should be unsalted and portion controlled. If possible, portion them out yourself or purchase single-serve baggies. One serving of nuts is about 1/4 of a cup or one small handful. Cheese balls or other gourmet cheeses. Cheese is a low-carbohydrate food choice which can pair nicely with fresh fruit. The possibilities here are endless and these products are usually easy to find. Wine. Wine, particularly red wine, may have some cardio-protective effects if consumed in moderation. You can purchase a pre-made gift basket or simply put together one of your own online. What Are the Best Fruit Choices for People With Diabetes?